Highlighting the glory of Kathopanishad Sadgurudev Sri Swami Sivanandaji Maharaj says, "This is one of the most beautiful Upanishads in which the eternal truths are given in the form of a narrative." With great delight, we offer our readers an exhaustive and illuminating commentary on this beautiful Upanishad by Worshipful Sri Swami Krishnanandaji Maharaj. 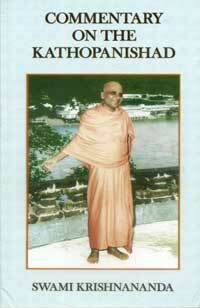 In the present book 'Commentary on the Kathopanishad', Pujya Sri Swamiji Maharaj blesses the spiritual aspirants with an insightful analysis of each verse in his unique and all-comprehensive style and also explains the sublime doctrines of Vedanta in a very attractive manner.